. 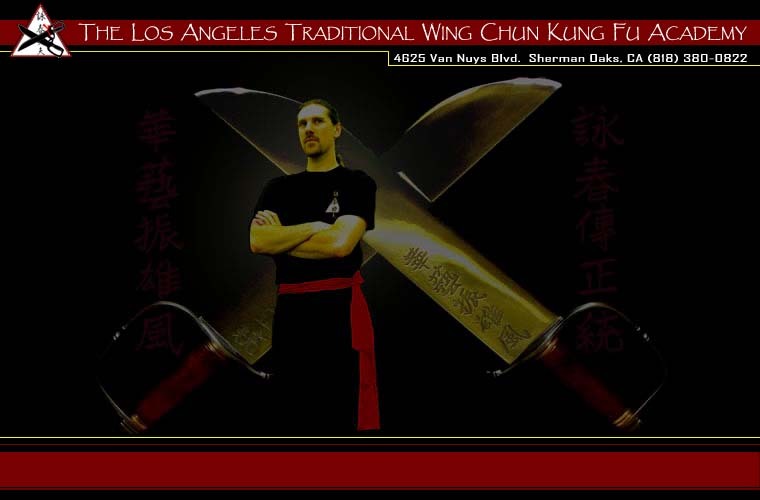 : Wing Chun California - The Los Angeles Traditional Wing Chun Kung Fu Academy - Home :. First, seek peace in all things. Last, stand your ground, and do not stand for defeat! Wing Chun Kung Fu Academy. We're located in Sherman Oaks, CA and we encourage you to stop by to see what Wing Chun is all about. Find out the latest goings-on at our school by clicking NEWS on the menu bar below. Discover what training with us has to offer when you click PROGRAMS. The latest SCHEDULE is posted here for quick reference as you plan your approach to learning this effective fighting system. See where we're located when you click on CONTACT and give us a call to set up your free trial lesson. See ABOUT WING CHUN to get more information on our style, and don't forget to check out our GALLERY. © 2015 Los Angeles Traditional Wing Chun Kung Fu Academy. All Rights Reserved.